What Is the Difference Between a W-9 Form and 1099 Form? Despite working hand in hand, the W-9 and 1099 forms serve different purposes. The information you enter on a W-9, however, does impact what's reported on a 1099. The person who requests a W-9 does so because the Internal Revenue Service may require her to report all payments made to you during the year on one of the various 1099 forms. Whenever a person or entity has an obligation to report certain payments to the IRS, such as dividends and earnings from contract work, it may request a completed W-9 from you. When filling out a W-9, you're required to enter your name, or the business' name; its tax classification, such as sole proprietor, corporation or limited liability company; and an address. In addition, your Social Security number -- employer identification number if under a business -- or other taxpayer identification number, is required. Once the form is complete, the requester retains it; it doesn't get filed with the IRS. What Is an Exempt Payee on a W-9? Whether it's to report your dividend or interest income, earnings from freelance work or income from certain other types of transactions such as real estate rental, various 1099 forms, such as the 1099-MISC form that's frequently received by contractors and freelancers, are used to report your income to the IRS. The same person or entity requesting the W-9 will use the information you provide to prepare your 1099, along with total payment amount. 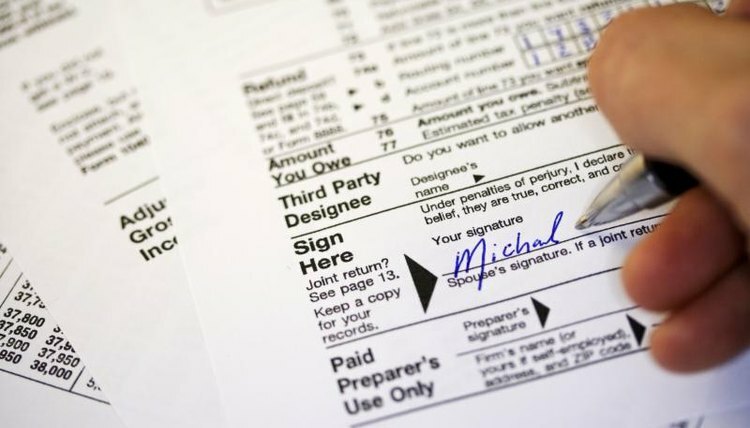 If you receive a 1099, you will need it when preparing your own tax return. Marz, Michael. "What Is the Difference Between a W-9 Form and 1099 Form?" , https://legalbeagle.com/5547773-difference-between-form-form.html. Accessed 26 April 2019. What Is the Tax Classification on a W9 Form?